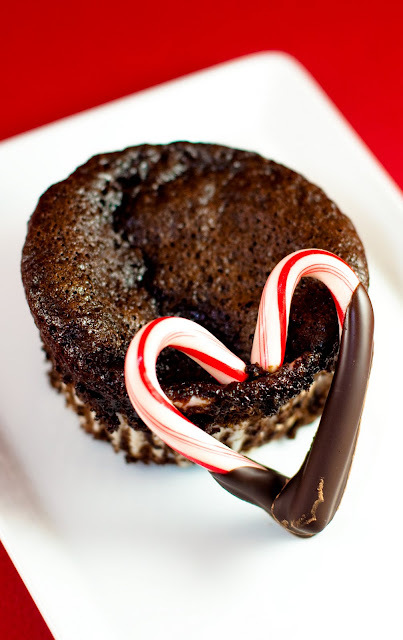 Desserts for Breakfast: Double the fun with peppermint ganache! 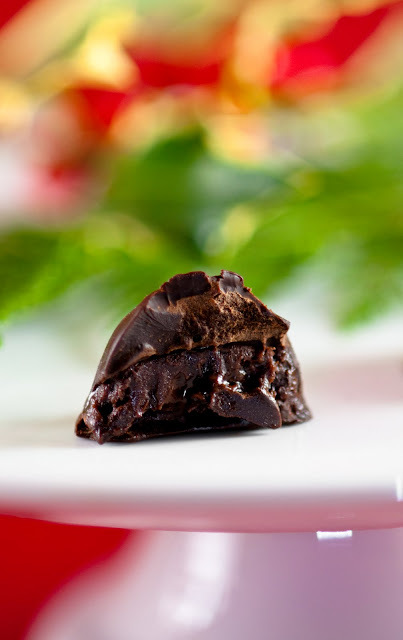 makes enough to fill 48+ chocolate candies, or eat straight out of the bowl, or to make truffles by covering with cocoa powder, or to hide as molten centers in chocolate cake. Use your imagination! 20 mini candy canes, opt. 1. Place chopped dark chocolate in a medium heat-proof bowl. Set aside. 2. In a food processor, finely process the mini candy canes, if using. Set aside. 3. Remove the cream mixture from the heat and pour over the prepared dark chocolate. 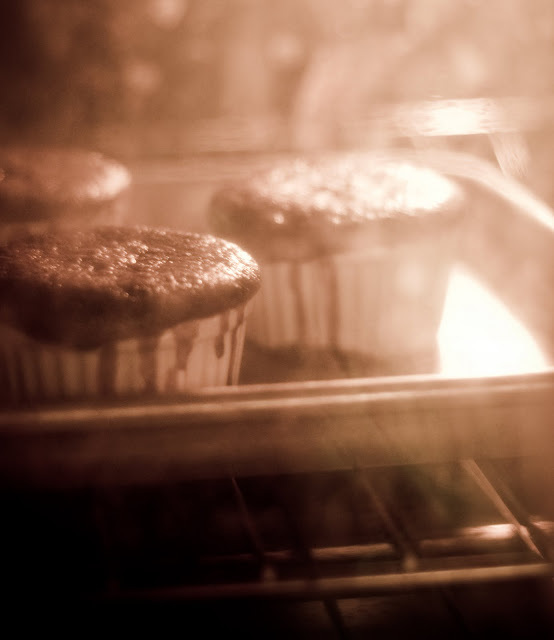 Allow to sit for two to three minutes, then stir until the chocolate melts into the cream. 4. 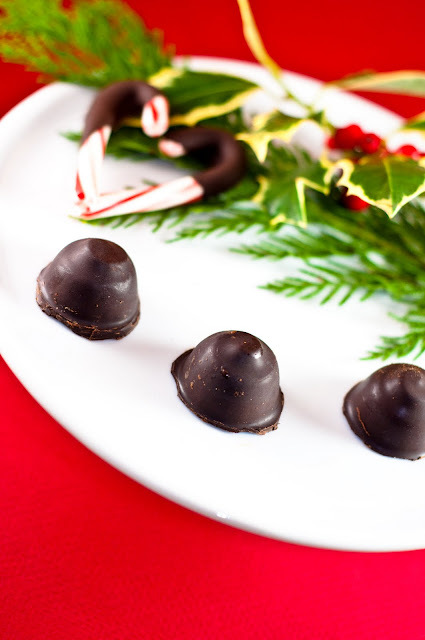 Stir in the peppermint extract and peppermint Schnapps, if using, and then stir in the processed mini candy canes. 5. Allow the ganache to set in the fridge overnight before use. 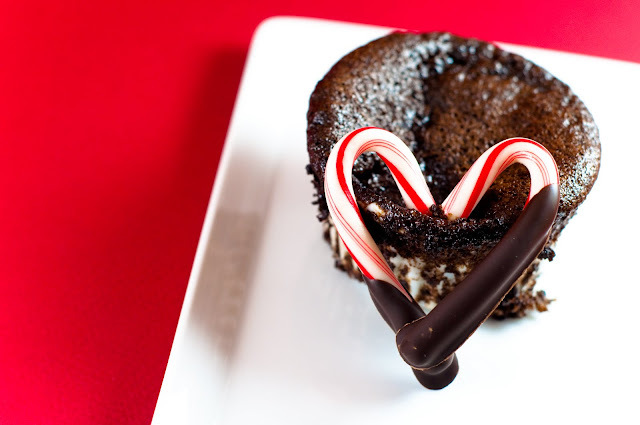 I love how you garnished these with the candy canes in a heart shape. Very creative and cute. I definitely believe that these were delish and only wish I could've had a taste 8).